Today I finished this quilt top made from these thrift store shirts. Daniel picked out the shirts and designed the quilt. 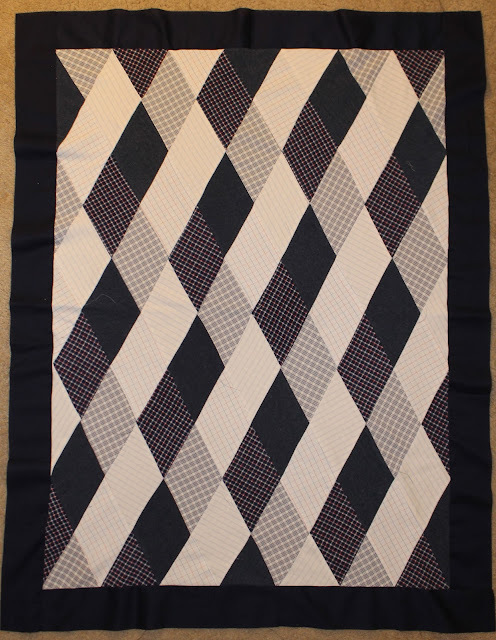 It may go up for sale on etsy when it is finished, but it's so hard to say goodbye to a quilt once it's finished.